Judges have questioned the Federal Energy Regulatory Commission's climate analysis approach for pipelines. Photo by Loren Kerns, courtesy of Flickr. Energy regulators' review process for natural gas pipelines went under the microscope in federal court yesterday. More than 80 minutes of oral arguments at the U.S. Court of Appeals for the District of Columbia Circuit featured debate over the Federal Energy Regulatory Commission's analysis of environmental justice and climate issues for the Southeast Market Pipelines Project, a network of three projects that would transport natural gas in the Southeast. The Sierra Club, Chattahoochee Riverkeeper and Flint Riverkeeper filed suit last year, challenging FERC's decision to grant certificates for the projects. While debate over the agency's consideration of greenhouse gas emissions stole the show yesterday, environmental justice concerns also play a leading role in the case (Greenwire, April 18). According to Sierra Club attorney Elly Benson, FERC failed to fully consider disproportionate impacts of project facilities on African-American communities, though the agency acknowledged that nearly 84 percent of the 685 new miles of pipeline cross near low-income and minority populations known as environmental justice communities. The groups are especially concerned about a large compressor station sited in a black neighborhood in Albany, Ga.
Benson argued yesterday that FERC relied on broader population data to determine that the compressor station was in a majority-white U.S. Census tract, rather than looking more closely at the majority-black community directly neighboring the project. "That was a fundamental error because FERC couldn't assess the impacts on a community that it refused to acknowledge exists," she told a three-judge panel. "While it does have some discretion in methodology, it does not have discretion to ignore the evidence in the record before it." Benson says faulty environmental justice analysis amounts to a violation of the National Environmental Policy Act because it led FERC to make an "uninformed decision" to greenlight the project. Judge Judith Rogers, a Clinton appointee, put FERC attorney Ross Fulton on the spot early in his response, asking him to explain how the agency reconciles the pipeline's purpose of delivering natural gas to markets that need it with the impacts along the way. "What do you do about these environmental justice communities, which are inconvenient to the purpose?" Rogers asked. Fulton replied that the commission is aware of the route's impacts but that the project did not meet the "high and adverse effects" standard for environmental justice reviews. He added that FERC has the discretion to balance competing interests and require various mitigation measures. "The commission's cognizant of the route's effects, but, as with all alternatives, the commission has to balance those choices," he said. A separate element of yesterday's NEPA arguments focused on whether FERC was required to do a more in-depth analysis of climate impacts from Florida power plants that use natural gas from the Southeast pipeline project. 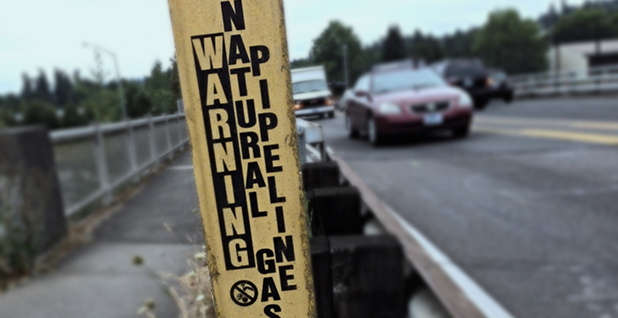 FERC performed a general review of the project's downstream climate impacts and concluded they would not be significant because two power plants receiving natural gas from the pipelines were switching to gas from coal, which emits more carbon dioxide. "The commission also recognized that greenhouse gas emissions are the primary source of climate change, but the commission found that it would not meaningfully inform the commission's decision to try to go further and estimate the physical effects from power plants — not the pipeline — but from power plants burning the natural gas delivered at issue," Fulton said, citing uncertainty about how the natural gas would ultimately be used at any other plants. Fulton explained that FERC "at this point in time just doesn't know what these future plants would look like in terms of how they would actually use the gas," making it difficult to quantify any offsets achieved from plants burning natural gas instead of coal. At the plant level, he added, federal and state air permitting agencies take the lead in considering emissions. Rogers rejected the argument, expressing frustration that FERC has avoided downstream analyses in a number of other situations. "What more did FERC have to know?" she asked, noting that many end-users have already signed contracts for the gas. "All these other cases, there's been some excuse. 'We don't have the authority to make the final decision,' or 'We don't know what's going to happen to gas flowing through this pipeline.' All those uncertainties are gone here. When would FERC ever have enough information and enough certainty to think that it was required to use these tools to measure carbon dioxide emissions?" She also curtly shut down an argument from Vinson & Elkins attorney Jeremy Marwell, representing one of the transmission companies on FERC's side, who said there was "concern" among project developers about NEPA becoming a "fly-specking exercise." "This is not fly-specking, counsel," Rogers said, adding that the project has undisputed impacts. But Judge Janice Rogers Brown, a George W. Bush appointee, appeared receptive to the agency's and industry's position. "When FERC is trying to do its NEPA analysis, it is looking at what impact will building the pipeline actually have, right? That project?" Brown asked. "Whereas, who uses it later, that's not something they can control." Benson responded that greenhouse gas emissions from power plants are a "classic" reasonably foreseeable indirect effect that requires analysis under NEPA. Prompted by Judge Thomas Griffith, a George W. Bush appointee, Benson attempted to distinguish this case from others that have limited the level of environmental review required for indirect effects, including several cases dealing with liquefied natural gas exports. "They held that the Department of Energy is the entity that's basically turning the spigot on or off here, letting that billion cubic feet a day of gas flow through the world," she said. "Here, there is no divided statutory authority like there is in the LNG context. FERC is the one making that decision to turn the spigot on or off. There's no intervening decision like there was in those LNG cases." Lawyers for FERC and the Sierra Club also fought yesterday over whether the commission was justified in setting a 14 percent "return on equity" rate for the Sabal Trail pipeline, one facet of the Southeast projects. ROEs are supposed to give utility investors a rate of return that factors in economic risks and fairness to consumers. The Sierra Club says FERC's rate is overly generous to Sabal Trail and not in the public interest, violating the Natural Gas Act. The company initially requested a 14 percent rate based on its capital structure of 60 percent equity and 40 percent debt. FERC approved a 14 percent rate but required Sabal Trail to redesign its structure as 50 percent equity, 50 percent debt. "In doing so, FERC assumed, without any supporting evidence in the record, that Sabal Trail would be able to adopt such a capital structure," the group wrote in a brief to the court, adding later: "Rather than employ a fictitious capital structure to allow an abnormally high rate of return, FERC should have cut Sabal Trail's return on equity or denied the certificate." Fulton argued yesterday that the 14 percent rate is consistent with two previous approvals in 2008 and 2010 of the same rate for projects with the same 50-50 debt-equity ratio. Rogers said she was troubled by the rate because it will stay in place unless a ratepayer challenges it and goes through an appeal process or FERC acts on its own initiative to change it. Finally, yesterday's proceedings included arguments from petitioners G.B.A. Associates and K. Gregory Isaacs — both Georgia landowners — who say FERC violated the Sunshine Act when it took action on the Sabal Trail certificate through a "notational order" at a private Feb. 2 meeting, rather than at a public meeting scheduled for Feb. 18. The project was one of many approved in the week before the departure of former Chairman Norman Bay. Since then, the typically five-member agency has had only two commissioners — leaving it without a quorum and unable to issue certificates. But Fulton, the FERC attorney, noted that notational orders are common at FERC and in other agencies and comply with the Sunshine Act. "The commission gave an extensive opportunity for parties to particpate, it held dozens of public hearings, it gave notice to interested parties," he said. "In fact, G.B.A., as an active participant, had the route in fact altered in response to its concerns." G.B.A. 's arguments did not seem to get traction with the court.